We at Altimate Motorsports pride ourselves in providing excellent service and products. 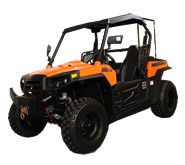 We specialize in UTV, ATV’s, and dirt bike sales, parts, and service. We only use the finest products from our vendors and our highly experienced crew is guaranteed to perform only the best service on your offroad machine. We also sell individual parts for your vehicle for replacement or just to make it your own. We will work with you to get the best performance out of your motor vehicle and we guarantee that you will be satisfied with your experience with us at Altimate Motorsports.